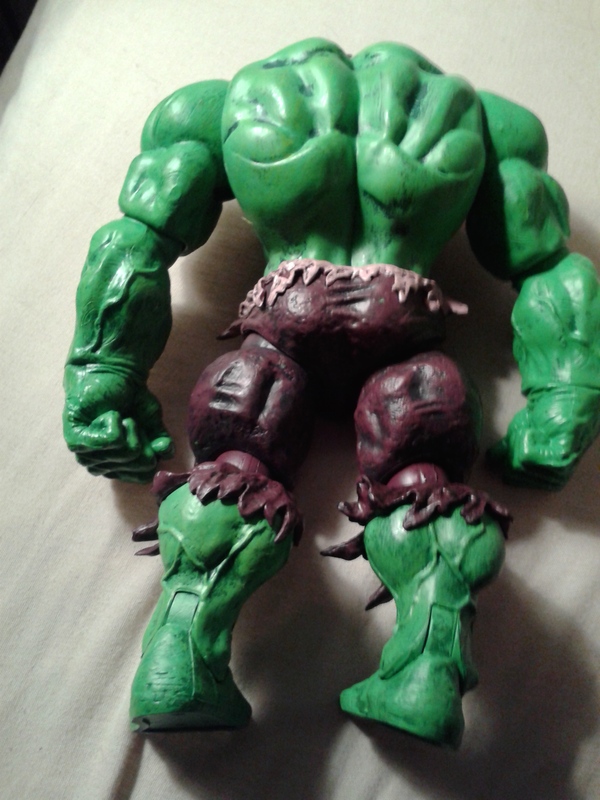 Marvel Select Incredible Hulk Action Figure By Diamond Select Toys | The Arcade Archives! 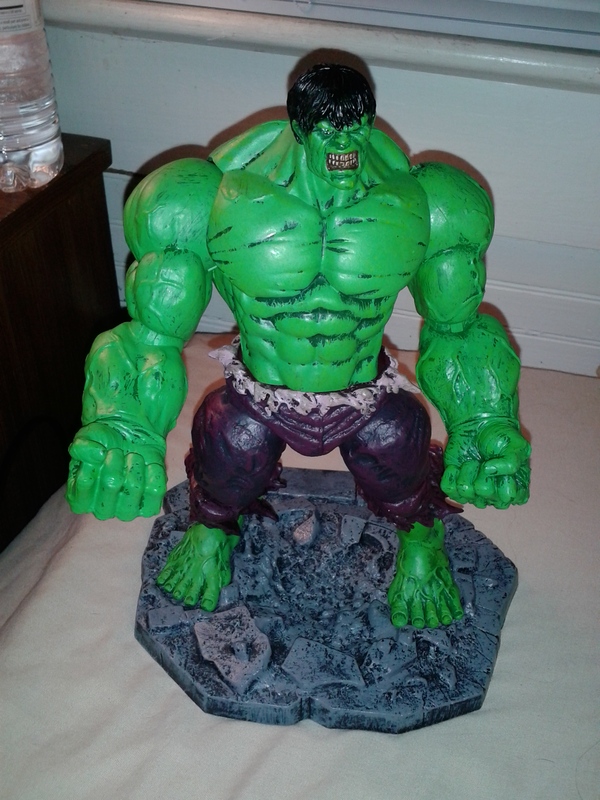 This Hulk action figure is truly incredible! Diamond Select Toys did an outstanding job bringing one of my favorite Marvel characters to life. He looks just like I think he should. Also the packaging on this action figure is really nicely done. This packaging looks great all the way around. Which if you notice there are actually three Hulks that go to this set! Plus they also have an Abomination as well. So needless to say they will all be added to my collection in the future. Although the photos don’t do the packaging justice the colors are bright and vibrant. This is a close up of his wonderfully detailed face. I love the growl face he has going on. 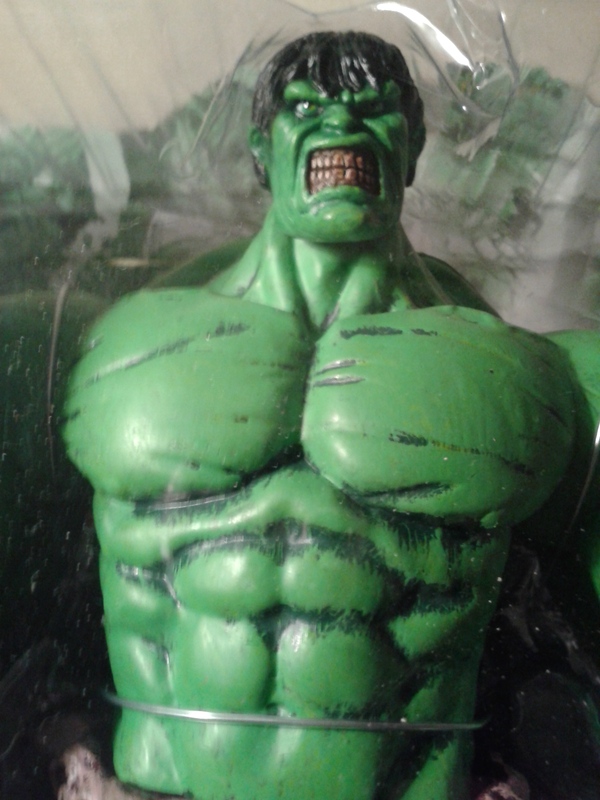 He is in a full on Hulk rage and doesn’t care who gets in his way, well except for maybe Betty! It’s obvious that Diamond Select cares about the products they issue. 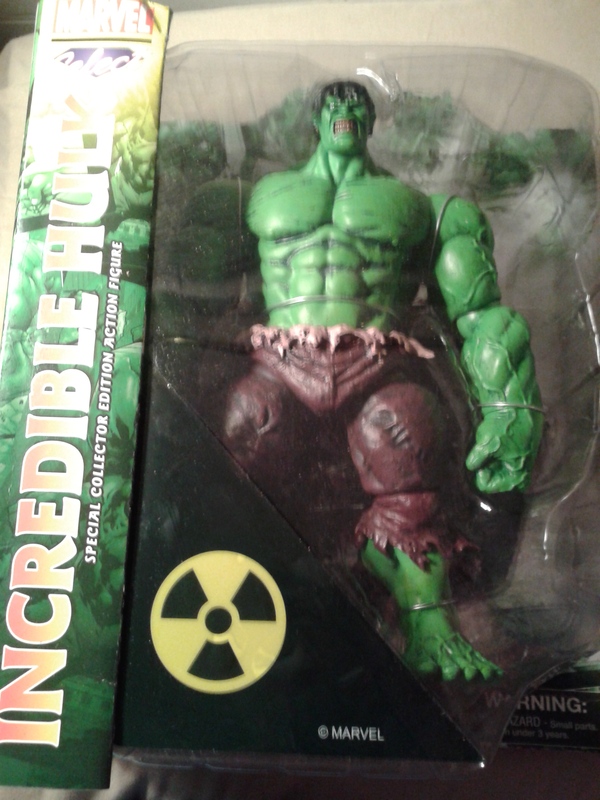 Now let me tell you before Hulk was liberated from his packaging I thought it was so heavy because of his base, but I was way off it is the action figure that is a bit heavy. The base is actually very light weight but I love the design of it. Although I did have some problems getting him positioned on there properly, but my son came to my rescue. As you can see his detailing is amazing from any angle. 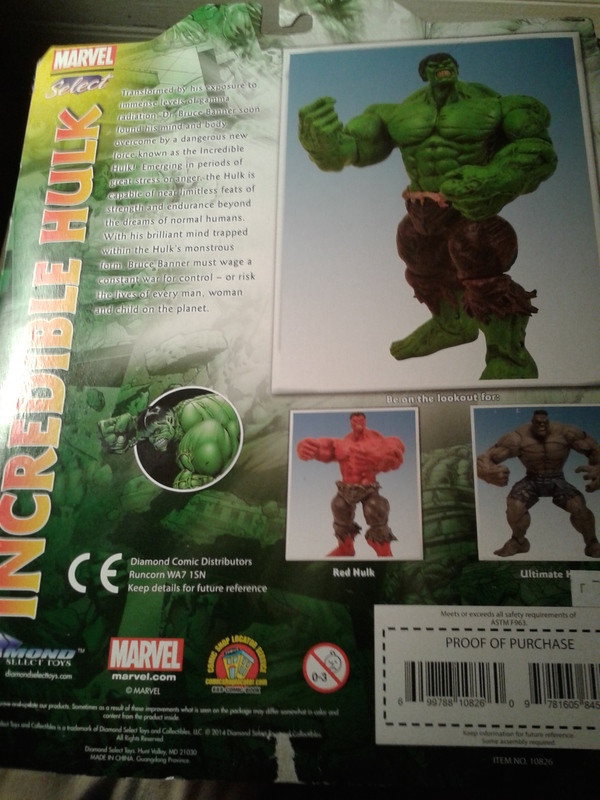 He is in full impressive Hulk form, he is also a bit over sized for an action figure, as he should be. This is defiantly not one of those times when the Hulk is the same size as everyone else. He is larger about 11 inches compared to the normal 7 inches. 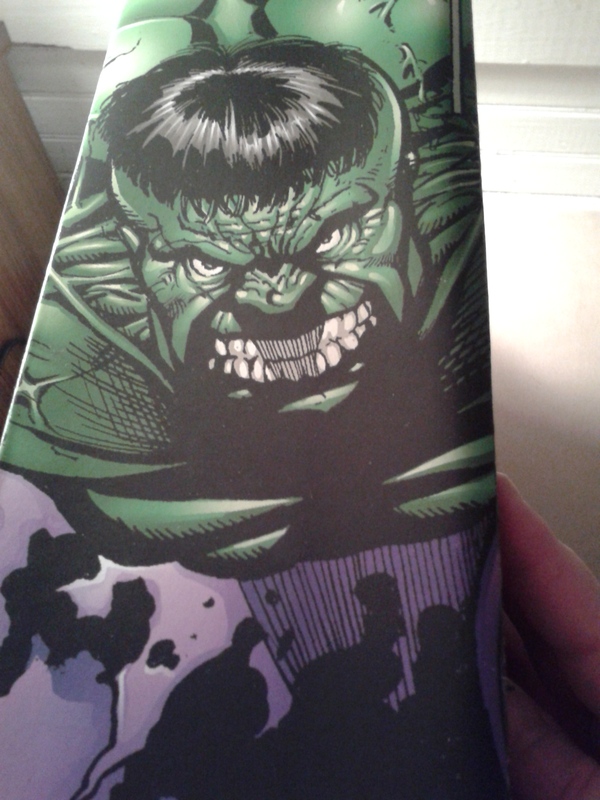 This makes total sense to me since the Hulk is about seven and a half foot tall. 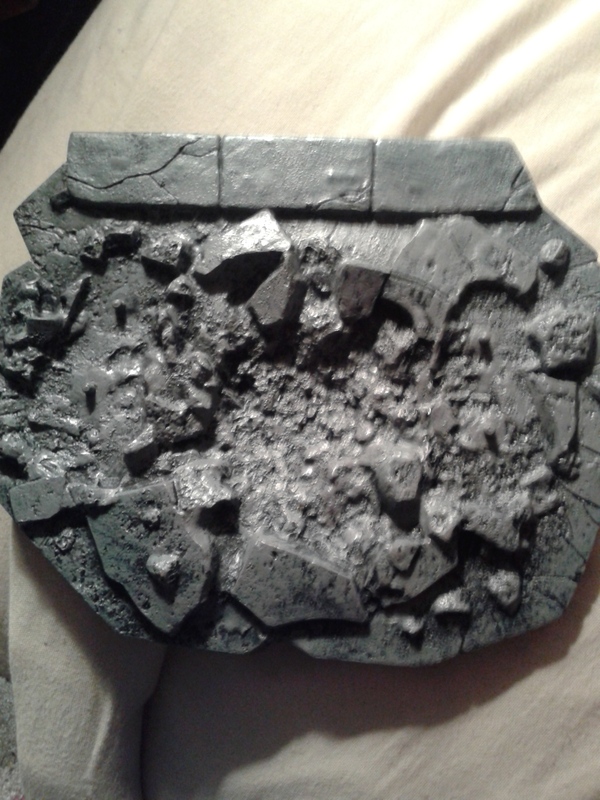 As you can see when he is position on his base he is an impressive piece. The pricing isn’t bad either, he is listed at $24.99 on Diamond Select. I think he is a wonderful addition to my collection but he is also a great piece for a starter collection. He also looks more expensive then he really was. 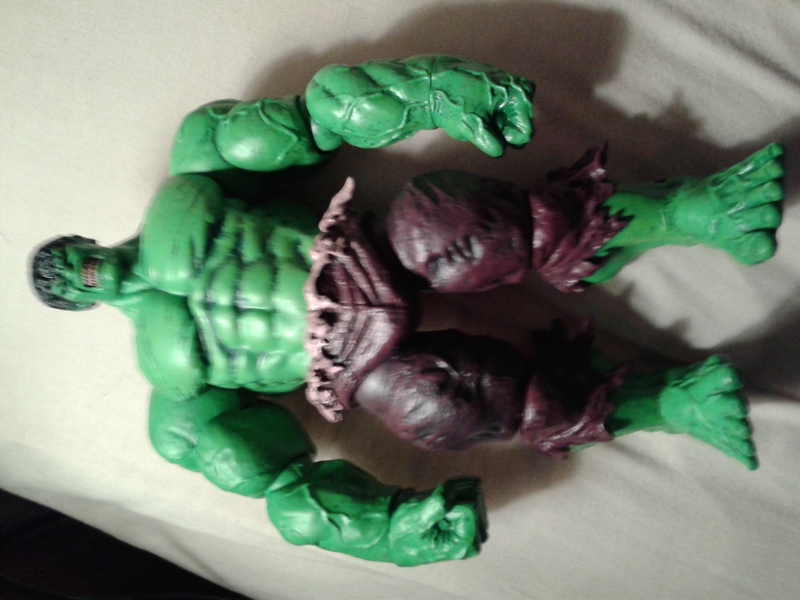 I can’t wait to add the rest of the Hulks and Abomination to my collection. This entry was posted in Reviews by ravenheather. Bookmark the permalink.